Benjamin Knox, a freshman offensive lineman with the University of South Florida Bulls, was arrested early this morning after he fired shots into the exterior of the Holly D residence hall. University of South Florida campus police responded to reports of gunshots near the building at around 4:00 a.m. this morning. They found a car, with shells and a gun case plainly visible. They traced the car to Knox, who they found in his dorm room with the gun. He was taken to Hillsborough County jail and charged with possession of a firearm on campus as well as shooting into an occupied dwelling. 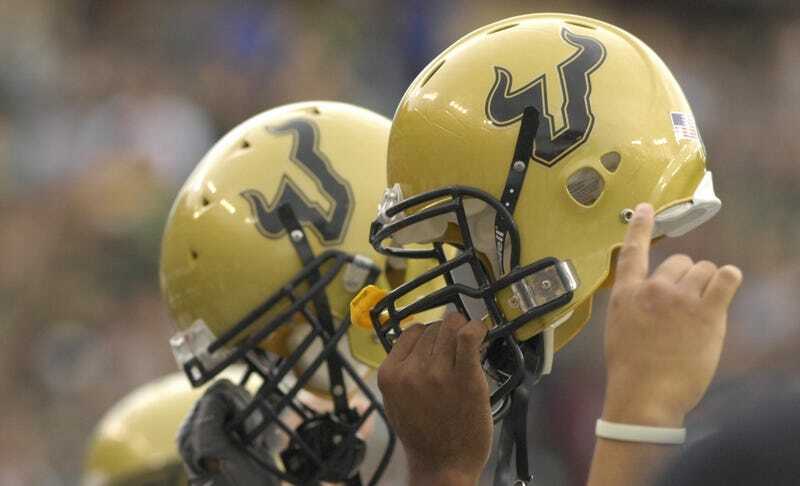 USF Athletics is aware of an incident involving student-athlete Benjamin Knox that occurred early Sunday morning. The student-athlete in question has been immediately suspended from all team activities. We are in the process of gathering more information on the matter and are working with the proper authorities. This type of behavior is not consistent with the values of our institution and will not be tolerated.